Miriam is an unassuming college freshman stuck on campus after her plans for spring break fall through. She's not a religious girl - when pressed, she admits reluctantly to believing in a higher power. Truth be told, she's about as comfortable speaking about her faith as she is about her love life - which is to say, not at all. And then the archangel Raphael pays Miriam a visit, and she finds herself on a desperate mission to save two of her contemporaries. To top it all off, her twin brother, Mo, has also had a visitation, but from the opposite end of the good-evil spectrum, which leaves Miriam to wonder - has she been blessed and her brother cursed or vice versa? And what is the real purpose behind her mission? Kindred was not quite my cup of tea, though I'm sure there is a readership for it somewhere out there. Stein's writing style is too sparse for my liking, and this is part of why I could not find any empathy for Miriam, the main character. It is incredibly difficult to be sympathetic towards a character when she doesn't engage your emotions. I found her to be one-dimensional and uninteresting. Kindred was also not quite the type of angel story I was expecting. Angels these days, especially in young adult literature, seem to be somewhat (if not outright) romanticized, but this was definitely not the case with Raphael. It really felt like more of a religious rebirth (i.e. Saul becoming Paul in the New Testament) than something a modern-day college student would experience. And considering the focus of the back cover blurb and the introductory paragraphs centers on Miriam's lack of specific religious beliefs, it was difficult to rationalize just how quickly she came to terms with her angelic encounter and God-given mission. Lastly, Raphael's visit seems to have played havoc on Miriam's health, and all of her medical issues totaled up to way too much information. There is a reason why we rarely read about characters taking a bathroom break in novels. I just didn't feel that the medical mini-drama was necessary to the storyline. In the end, I just couldn't get into this book and was unimpressed with a read-through of the last few chapters. That doesn't mean, however, that you won't like it. 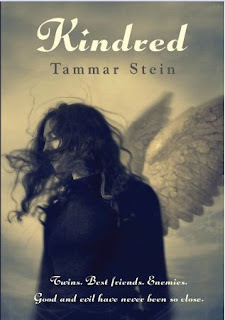 If you are at all interested in Judiasm, religious fiction, and/or angelic encounters, you may enjoy this novel.